At widths up to 136″, we offer the widest roll wrap protection in North America, and we ship internationally! Available in recyclable polyethylene and repulpable grades. Full range of widths available up to 136″ to service wide width presses. Polyethylene laminated construction that eliminates delamination and wax bleed through. Quality assured by on-line process controls and rigid SPC Procedures. Proven runability with excellent flatness and crimpability. Logo printing available in one and two colors. Custom stocking and inventory programs available. 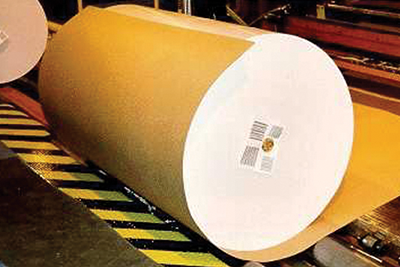 New repulpable roll wraps with the same moisture protection as polyolefin or wax (to serve export market concerns).